Right now, the car world is swamped with turbocharged engines. This means high specific output per liter of capacity, lots of torque, massive horsepower numbers and incredible specs for the cars equipped with such tech. 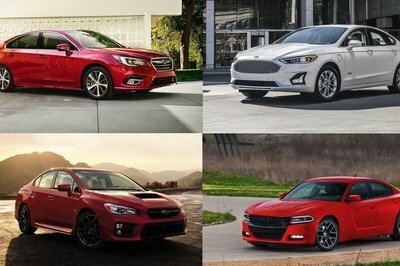 While trying to figure out how to present the most powerful four-cylinder production cars, I thought of listing them by the highest specific output of the engine. Yet, listing five with 350+ horsepower feels more fun. It is quite incredible to see to what lengths the producers are willing to go in order to convince us that turbocharging and four-cylinder engines are just enough for basically anything, including high-end performance. These five cars with four-cylinder engines have so much power they will make you forget about a V-8. 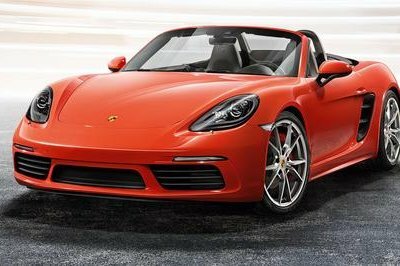 Latest Porsche 718 cars - the Boxster and the Cayman come with a new generation of four cylinder engines. The smaller one with 2.0-liter of capacity and 300 horsepower is already plenty powerful, but in this case I am writing about the engine in the 718 Boxster GTS and the 718 Cayman GTS. It is a 2.5-liter turbocharged unit. In its entry form it churns out 350 horsepower, but with the GTS line of cars, Porsche upped the ante to 365 horsepower. The flat-four, turbocharged engine received a variable geometry turbocharger. It is a technology designed to negate turbo lag effects and provide a somewhat instantaneous response whenever the driver puts the foot down. Porsche had to sharpen up the flat-four as much as possible as their previous six-cylinder engines felt surgically precise in terms of power delivery. While the standard engine in the Cayman S develops 350 horsepower and 310 pound-feet of torque, the one for the Cayman GTS has been dialed up to 365 horsepower thanks to increased boost of the turbocharger and a reimagined intake system. Sheer madness of the setup can be expressed in numbers. The Cayman GTS is so fast, it lapped the Nurburgring in 7 minutes and 40 seconds. What a serious machine. The acceleration isn’t supercar like, but it would smoke an R8 V8 or some F-Types to 62 mph, as it can run to it in 4.6 seconds. The 718 GTS models – Unleashed in Sicily. The most astounding fact is that the 718 Cayman GTS with a standard Sport Chrono Package and PDK transmission can hit a top speed of 180 mph. For me, however, the most astounding fact is that the 718 Cayman GTS with a standard Sport Chrono Package and PDK transmission can hit a top speed of 180 mph. Remember, this is a freaking four-cylinder car and not only is it quick down low, but it is downright impressive up high. Astonishing to say the least. Some, however, did say it lacks the sound bruble to accompany the viscous nature of the engine. This is something previous six-cylinder engines did not lack. Nevertheless, the latest from Porsche definitely fits the bill to be included on this list. 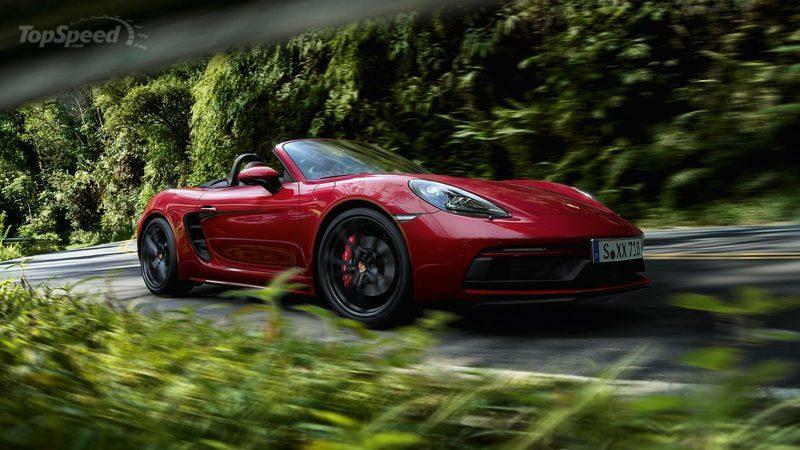 Read our full review on the Porsche 718 Boxster GTS. and the 2018 Porsche 718 Cayman GTS. A 350 horsepower unit landed in the Ford Focus RS, a hot-hatch that gave many headaches to the boards of Mercedes-Benz, Audi, and BMW. This was easily one of the most anticipated cars in this decade. Not only did it bring an awesome AWD system, a Drift button, and introduce Ford to the world of extreme hot hatches of today, but it gave us a rather cool engine to play with too. The 2.3-liter, four-cylinder, turbocharged engine was so potent it motivated the EcoBoost Mustang (practically reinventing the Mustang SVO,) but not in its most powerful form. A 350 horsepower unit landed in the Ford Focus RS, a hot-hatch that gave many headaches to the boards of Mercedes-Benz, Audi, and BMW. It was a cheaper alternative to their extremes, but equally rad. Announced all the way back in 2009, the 2.3-liter EcoBoost engine is intended only for high-performance applications within the Ford lineup. The engine is different compared to the one in the Mustang Ecoboost though. 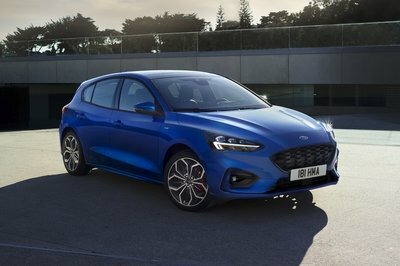 Apart from higher capacity turbocharger, Ford had to dramatically improve cooling by installing a new intercooler, and it improved the head gasket design to allow for better cooling. Interestingly enough, it seems that some Focus RS engines did receive Mustang EcoBoost head gaskets which blocked the coolant passages. Apparently, some of the 2.3-liter EcoBoost engines blew up due to the problem. Nevertheless, the high-end design of the engine has been praised by all. With 350 horsepower and 350 pound-feet of torque, the Focus RS engine is one of the most power dense engines Ford ever produced. Yet, one of its iterations - in low-production VUHL 05 RR - was dialed up to 385 horsepower. The Focus RS can achieve some stunning performance largely thanks to the power of this EcoBoost. Top Speed of 165 mph and acceleration to 62 mph in 4.7 seconds tell a lot about the sheer lunacy of the Focus RS and its stunning four-cylinder engine. 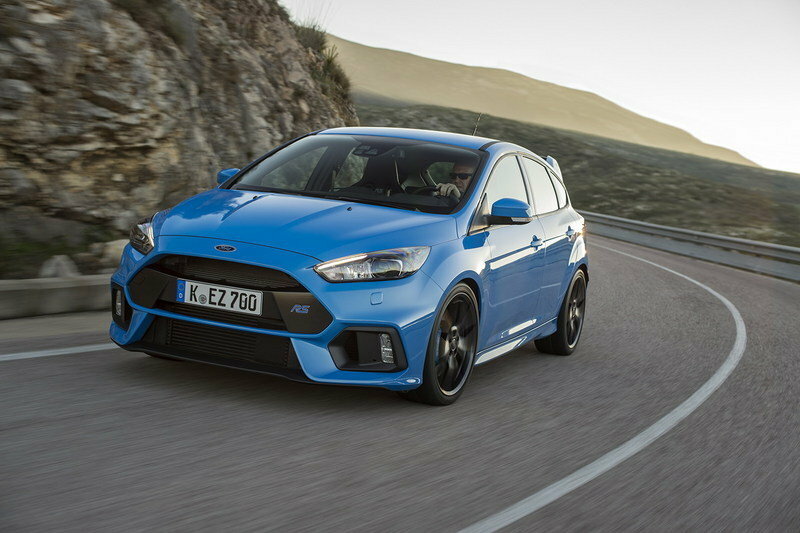 Read our full review on the 2018 Ford Focus RS. Did you expect to see a Volvo on this list? Well, if you have been following the work of the Swedish company for the past decade, you may not even be surprised it reached the list. See, Volvo discontinued the production of engines with more than four cylinders and with more than two liters of capacity. Yet, thanks to market demand, they had to make the most of what they have, and the Volvo S60 Polestar 2.0-liter engine is the most extreme interpretation of their ideology. 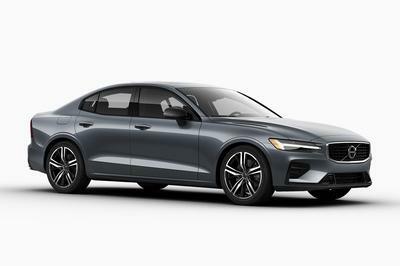 Tuned up by Polestar, previously an in-house tuner and now a stand alone brand, the Volvo S60 Polestar uses a 2.0-liter turbocharged and supercharged engine. It is based on top of the 2.0-liter mill from the T6 line of cars but it was seriously improved for the new car. 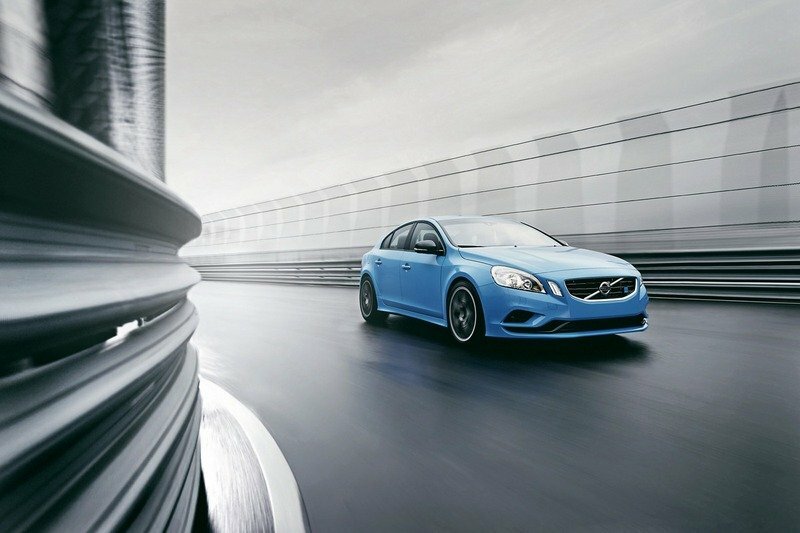 Developing 362hp at 6,000 rpm and 347 pound-feet of torque between 3,100 rpm and 5,100 rpm, the Volvo S60 Polestar engine is an awesome machine. So awesome, in fact, that Polestar racing team used it, in a slightly different state of tune, for their racing efforts. Apparently, they were the only team in WTCC using a production engine as a basis for the race car. A turbocharger and a supercharger works together, guided by Polestar’s own ECU programming to provide the best possible experience for drivers of the soothing family sedan (or the V60 wagon really.) The engine received a multitude of novelties compared with the T6 version including new intakes, new downpipes, a high-pressure fuel pump, and new cams. This engine should be compared with the next one on the list - the four cylinder, 2.0-liter turbocharged Mercedes-AMG unit used by the A, the CLA, and the GLA. Read our full review on the 2018 Volvo S60 Polestar. I have to think a bit wider in this case, as with 381 horsepower, the 2.0-liter has more power per liter than any 4.0-liter V-8 Mercedes unleashed up to this point. Ladies and gentlemen, this one is a special one. This car’s engine is of a modular design, meaning that it shares some of its parts with the larger 4.0-liter V-8 Mercedes-Benz and the Mercedes-AMG uses for its upscale machinery. I have to think a bit wider in this case, as with 381 horsepower, the 2.0-liter has more power per liter than any 4.0-liter V-8 Mercedes unleashed up to this point. This only says that the tuning capacity of AMG’s turbocharged V-8 is as impressive as one may expect from Ferrari or McLaren. Nevertheless, the small 2.0-liter with 376 horsepower and 350 pound-feet of torque can grant some staggering performance for the AMG A45. The car will blitz to 60 mph in 4.2 seconds. Even quicker, I am sure. The reason Mercedes-AMG dialed it up this much is definitely hidden behind the fact that the Audi RS3 offers 367 horsepower on tap. 376 is more. But this is not all. The Mercedes-AMG A45 sports a quite nice 4Matic AWD system that is going to be redesigned for the new-generation car. Along with the engine. This unit will be even more potent. Some say 400+ horsepower. Honestly, it feels like overkill, but this is Mercedes-AMG we are talking about. They made a habit of making epic stuff. "We have further refined our turbocharged four-cylinder to develop 280 kW (376 hp) and 350 pound-feet of torque. This means that the Mercedes-AMG A45 remains the world’s most powerful and dynamic compact sports model," says Christian Enderle, Head of Engine and Powertrain Development at Mercedes-AMG. The car will blitz to 60 mph in 4.2 seconds. 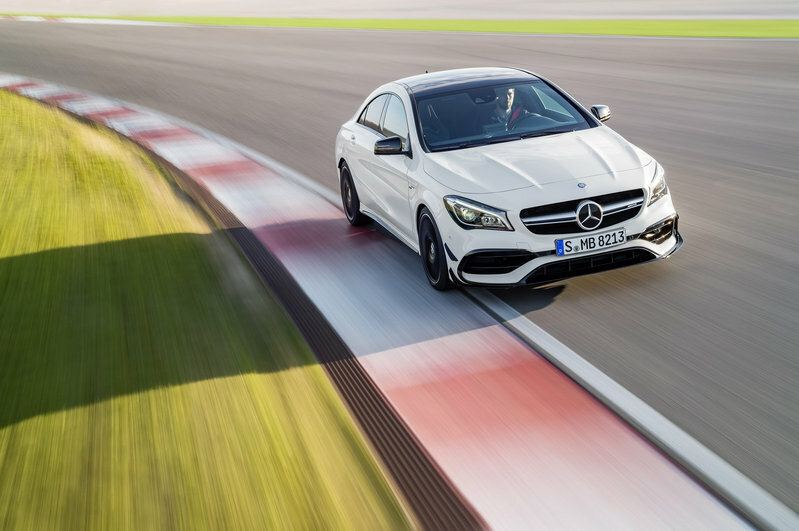 AMG uses the engine for the GLA45, CLA45, and A45. Obviously, the smallest of the bunch isn’t offered in the U.S., but we can feel its wraith in the GLA and the CLA. Some of the highlights of the AMG 2.0-liter include the sand-cast, all-aluminium crankcase, forged steel crankshaft, forged pistons, and Nanoslide cylinder wall technology. All the technologies precisely engineered to enable the small capacity engine for the production of rather astonishing power levels. Read our full review on the 2018 Mercedes-AMG CLA45. Tuned up to 403 horsepower and 387 pound-feet of torque, the Lancer Evolution X FQ400 is like a Fast and Furious generation dream car coming straight from the factory. 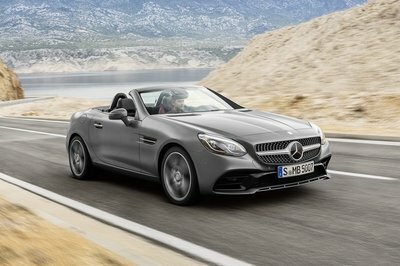 Sure, the Mercedes-AMG 2.0-liter is amazing to say the least, but it is not the most astounding I came across. The title for the most extreme production four-cylinder engine goes to a 2.0-liter unit found in the Mitsubishi Lancer Evolution X FQ400. Mitsubishi revealed it in 2009 to the awe of the whole world. Tuned up to 403 horsepower and 387 pound-feet of torque, the Lancer Evolution X FQ400 is like a Fast and Furious generation dream car coming straight from the factory. Mitsubishi partnered with HKS from Japan in order to tune the car. So, yes, it is sort of an afterwork, but, in the U.K., where it originally debuted, you would still get a three year warranty and all the other stuff you’d get buying an all new Mitsubishi. Quite a nice deal HKS and Mitsubishi striked there. In some sense, with more than 200 horsepower per liter of capacity, the Mitsubishi Lancer Evolution X FQ400 is the most extreme representation of what can be done with a four-cylinder. HKS did some serious tuning to it. They’ve installed new high-flow injectors so you can feed it better, and the updated turbocharger spins up quicker and will spin faster at the other end too. This led to some serious thinking behind reimagining the cooling. Finally, remapping the 2.0-liter did the deed and made all of this work in harmony. I know all of this sounds a bit too extreme, too violent, but, believe it or not, Mitsubishi went a bit further still. 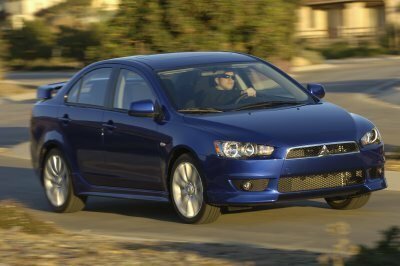 Some years after concocting the FQ400, the company released a special edition limited to 40 units called the Mitsubishi Lancer Evolution X FQ-440 MR Special Edition. Celebrating the 40th anniversary of Mitsubishi in the U.K., it was the most extreme Mitsubishi Lancer Evolution ever. Celebrating the 40th anniversary of Mitsubishi in the U.K., it was the most extreme Mitsubishi Lancer Evolution ever. Yup, 440 in its name does designate the power output. Still from a 2.0-liter turbocharged engine. The performance of the Mitsubishi Lancer Evolution X FQ400 is quite incredible. Back then, it needed only 3.8 seconds to hit 62 mph. 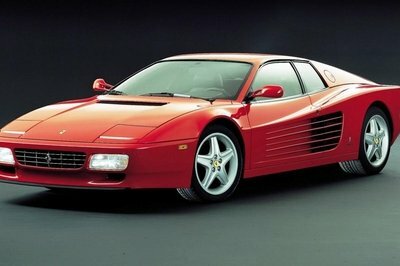 This, at a time when you could still buy a Ferrari F430. This was as quick. 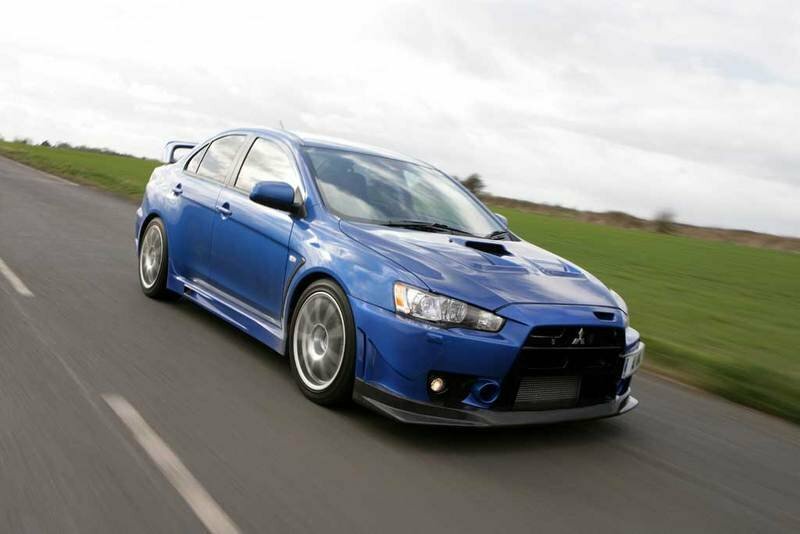 Read our full review on the 2010 Mitsubishi Lancer Evolution X FQ400. First off, it is not a production car, but it is a cool reminder of just how crazy the automobile industry was hundred or so years ago. 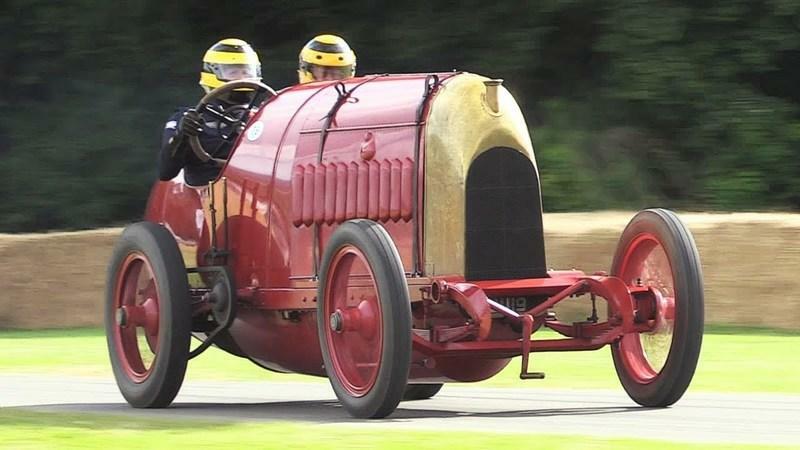 A few years back I was working on a piece about the Fiat S76. Nicknamed the Beast of Turin, it was a car specifically made and designed to take down the top speed record in 1911. I am including it in this list only because it had a four cylinder engine and it will teach you what 107 years of development can do. Breaking the top speed record was never an easy task, especially at a time when the driver had to pray for the tires not to blow during every drive and not just high-speed runs. That is of no consequence here though, as I am about to tell you that the Beast of Turin, or the Fiat S76, or the Fiat 300 actually had a 28.5-liter four-cylinder engine developing 290 horsepower. Volkswagen gets this much power from a 2.0-liter turbocharged engine. And it is not even considered an achievement anymore. 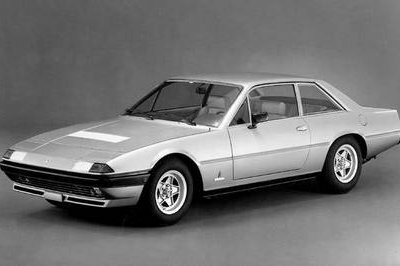 Nevertheless, the history behind the Beast of Turin is quite amazing and one day I may tell it all to you, but right now, I am just gonna say that Fiat produced two units. One was crashed, but the engine survived, while the other was dismantled. Duncan Pittaway, an enthusiast and all around a great guy (I chatted over Facebook with him about the car once,) found the missing engine, found the chassis, body and other pieces and made the car roar to life more than 100 years after its engine was last heard from. As for the record breaking run, an American driver Arthur Duray set to make the Fiat 76S the fastest car on earth in December 1913. He managed to drive up to 132.27 mph. However, he failed to drive the car in the other direction in time and the record was never officially recognized. Now, just imagine what 100 years of development can do. Fiat tried to make a record breaking car with a four cylinder engine back in 1910 and they’ve ended up with a car powered by a 28.5-liter engine. Today, half a gallon of capacity can do so much more, but it can never sound as good. First it was one cylinder, then someone thought, let’s put two. Then 12. Roots turbochargers were invented, double overhead camshaft as well, multiple valves were drilled into the heads, and the compression ratio has finally risen. This is the poetry of an engine. A canon of its development which is a direct insight into the dedication of the human kind to innovate. What Fiat needed the 28.5-liter in 1911 for, Volkswagen can do with one liter now. What is fascinating is that the concept for all of it is the same - light a fire in a chamber, let it bang, and push a piston. It’s rudimentary. Let’s get real - it is primitive. Yet, it has been driving us forward for more than a century, clearly demonstrating what we are able to achieve when we put our minds to it. 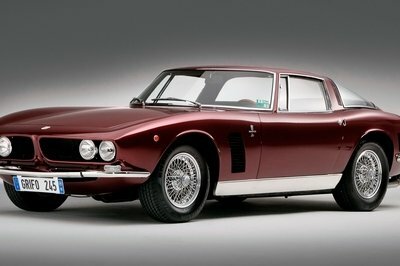 The five cars I listed above are among the crowning achievements of the automotive industry. All of them sport technology unknown only 20 years ago. Now making them quicker, faster, more amazing, and dramatically more efficient than anything you could call a supercar in, say, the Eighties. A four-cylinder engine may sound a bit lame. It is anything but.